I will continue to adjust the Production Tax calculations to try and reduce that margin of error in the model. Another key assumption for the estimated distribution in July will be the actual royalty production for the period ending June 30, 2015. 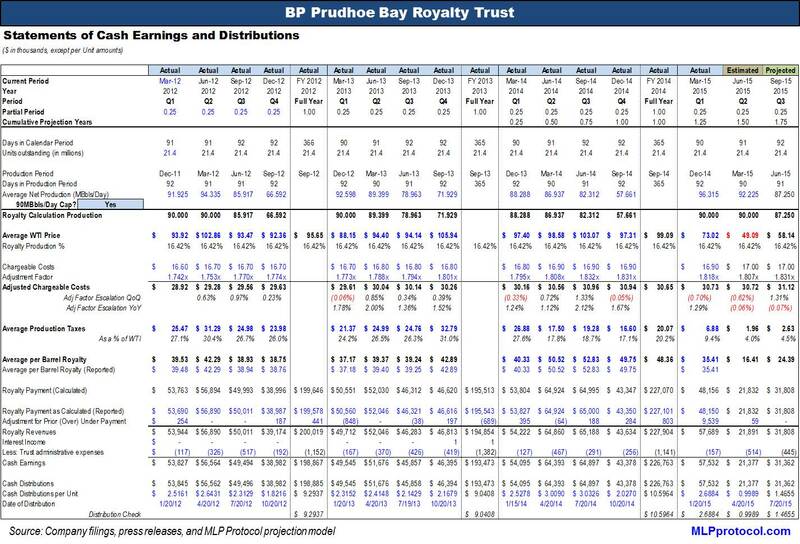 The royalty production amount will likely be the largest source of margin of error for the July estimate. There are seasonal aspects to production in the Prudhoe Bay because maintenance and capital expenditures usually occur during the summer months and typically cause a temporary decline in overall field production. Disclosure: Based on my estimated increase in the distribution I am long Call Options (so based on Murphy’s Law, BPT will probably get hammered after announcing the distribution).